Make the outside of your home as stylish and practical as the inside. Choose outdoor furniture from Weaver Furniture Sales’ impressive collections below. Because our outdoor furniture products have a proven record of dependability and durability. 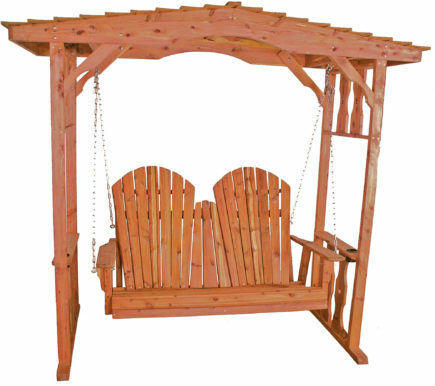 Our Cedar Furniture collection includes loveseats, porch swings and rocking chairs. Also picnic tables and more. They’re all Amish made for comfort, strength, practicality and long life. Also, check out the Poly Lumber collection of superb outdoor products. They include folding Adirondack chairs and balcony table and chairs sets. Plus pub table and side chairs. In addition, make plans to visit Weaver Furniture’s ‘brick and mortar’ store in Shipshewana, Indiana. And see our outdoor furniture in person. 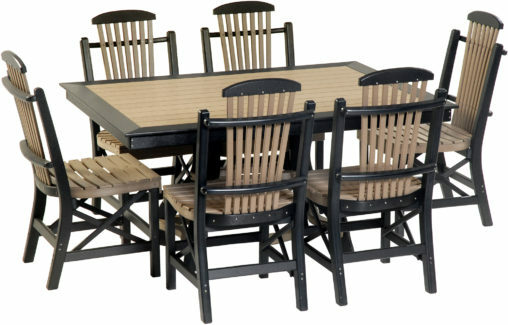 The collections of outdoor Amish furniture shown above are part of a large array of Amish-built, custom-made, solid hardwood furniture products for the home. In fact, we offer furniture for every room in your house. So choose the furniture pieces for your outdoors. Then, browse this entire website. And find out how we can add comfort, convenience and style to the rest of your home. If you have questions about our products or how to order, feel free to talk with one of our knowledgeable furniture consultants.